If you're a small business owner and have identified yourself as a micromanager, you've taken the first step to altering behavior that's demoralizing to staff and destructive to operations. To go further, though, you'll have to change the way you think about delegation, responsibilities, and interacting with people. Many instances of micromanagement are directly related to feelings of insecurity. You may lack confidence and assurance about your ability to manage or your team's ability to get the job done. You may worry that relinquishing control will only lead to disaster because no one can do the job as well as you can. To identify whether this is the source of the problem, take a hard look at yourself and your business. Although such introspection may be difficult, another possibility is asking an impartial third party, such as a mentor or coach, to look at what's going on in your business and delegation process. The solution often is as simple as building up your own level of confidence so that you can become a better leader. You can also work toward a solution by building a better team. 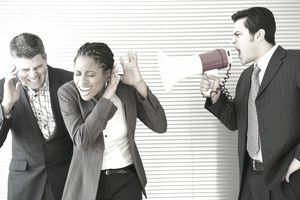 If your staff comprises people who don't inspire confidence and may not be confident in their own abilities, you already are on the path to a micromanagement disaster. Before bringing members onto your team, analyze their backgrounds, your current needs, and the team dynamic to ensure that your possible hires are a good fit. If you see potential in someone, consider putting her through a training process and helping build her skills and self-assurance so that the delegation process becomes easier. Ultimately if you can’t trust and respect your staff, they will not feel empowered to excel, and you will continue to question their work. There's often a period of adjustment as new small business owners come to realize why they should delegate and how to delegate effectively. This challenge can be tremendous when you consider that most small business owners are accustomed to doing a little bit of everything. While being self-sufficient is not a problem on its own, you can't do everything alone, and you never will be able to grow your business without help. Delegation isn't easy. Your first step is realizing the difference between giving orders and truly delegating. A key to the delegation process involves documenting what you want to accomplish and then transferring the knowledge needed for your team members to get it done. After educating and empowering your staffers, the most difficult time comes: letting go and trusting that your team members will take the ball and run with it. You'll need to accept and understand that they may not approach their tasks the same way you would do so. Certainly, such acceptance is easier said than done. But it'll help if you can concentrate on the benefits of freeing yourself up to handle other tasks and manage the company overall. You may even be surprised to find that when you give your team members a little leeway, they discover new—and better—ways to do things and solve problems. If you think of your team members as individual moons orbiting your planet, your company will never have a good team dynamic. A powerful team develops in an environment in which people have a desire to work together, pool their skills and experiences, and build off each other's strengths. You can embolden the team by taking a genuine interest in your team members, their development, and the ideas they bring to the table. Empower your team to take initiative and let them run with their ideas. Further reduce your urge to micromanage by ramping up the collegial atmosphere, allowing everyone to contribute, and providing recognition for a job well done. Breaking the micromanagement cycle is not easy, especially for small business owners used to wearing many hats. But you can do it, especially by focusing on the long-term benefits of building a smart, autonomous, and dedicated team who will help you grow your business.